When Covenant College junior Megan Wetselaar signed up to participate in World Relief Atlanta’s Walk in My Shoes program during spring break, she wasn’t thinking about refugees; she was thinking about fulfilling a course requirement. When this volunteer opportunity presented itself, she reluctantly decided to pursue it. She didn’t really know anything about refugees. She didn’t really want to spend a week with strangers in Clarkston, GA. She wasn’t even sure why God was leading her down this path. Early in the week Megan realized why she was there; she wasn’t there to help, she wasn’t there to fulfill a school requirement; she was there to learn. Walking in the shoes of a refugee brought light to some of the harsh realities of refugee life. Displacement. Persecution. Separation of families. Fleeing your country to save your life. While these experiences were physically temporary for Megan, she quickly became overwhelmed and knew this would have a lasting impact on her life. Throughout the week she met and interacted with several different refugees. While their interactions and stories were different, one thing remained the same; their happiness and joy in Christ. Megan met one man who not only left everything behind, including his job and his family, in his home country, but also spent several months in prison before safely arriving in the US. Instead of being angry and disgruntled about having to start his life over in a new country, he was happy. How could he be happy? He told Megan that when he worries, he can’t be happy so he simply gave all of his worries to God, trusting Him and finding his joy in Christ. She was immediately convicted. She realized that instead of complaining to God about our daily situations, we should be praising Him, no matter what! Another encounter occurred while Megan was walking through the town of Clarkston. 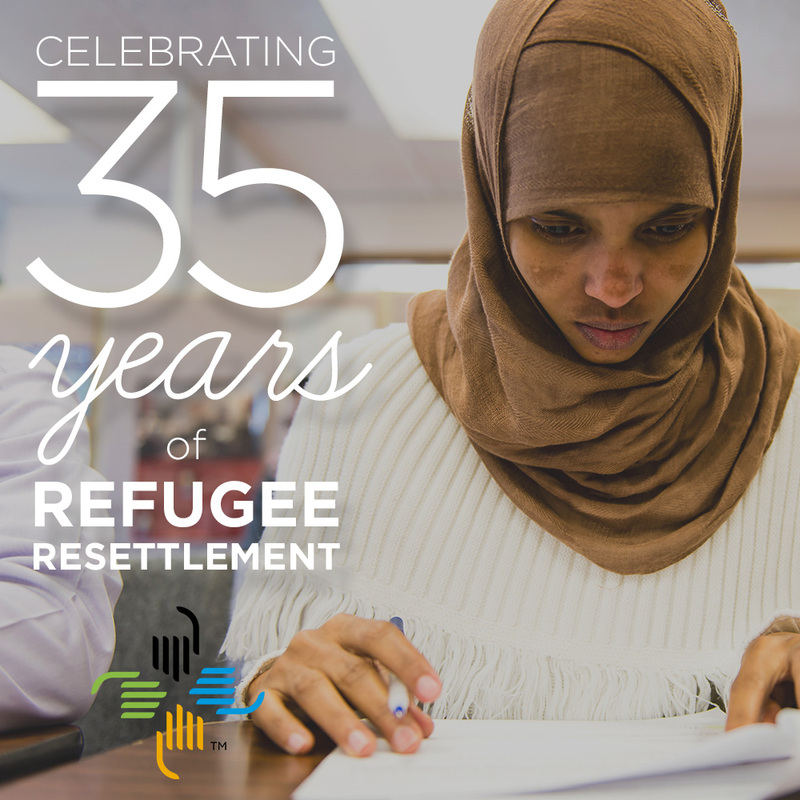 As she was walking with two other program participants, a refugee woman approached them, stopping them to share her testimony. She suffered from sickle cell anemia, her whole life appearing to be one struggle after another. Yet through it all she continued to praise and glorify God. Everything she did was to serve Him. Again Megan had met someone who had reason to be angry and complain, yet chose to find joy in Christ and praise him in all circumstances. Throughout the course of the week Megan heard story after story from refugees who have experienced God’s faithfulness in good times and in bad. She realized that despite any problem or trial you face, no matter what the circumstance, we are all called to praise God. Her interactions with the refugees taught her that no matter where we are from or what language we speak, we are all part of the body of Christ and called to love as He loves. As she wrapped up the week, she felt there was still so much to learn from these refugees, her brothers and sisters in Christ, and looks forward a reunion with them in our eternal home, where no one will be forced to flee. For more information on volunteers opportunities, please contact your local World Relief office. Why are #MomAndBaby fine? Alexia knows.